(CBS News) Abusing painkillers is a big problem in the U.S. - about 12 million people said they used painkillers for non-medical reasons in the past year, according to recent CDC estimates. 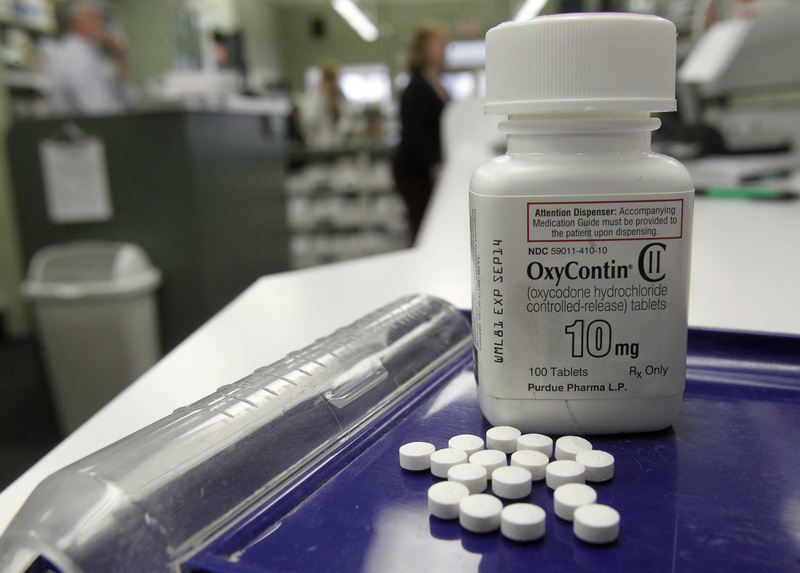 A new study found rates of newborns born addicted to opiate drugs tripled over the past decade, driven by legal and illegal use of opioids like hydrocodone and oxycodone, CBS News reported. The number of newborns with withdrawal symptoms increased from a little more than 1 per 1,000 babies in 2000 to more than 3 per 1,000 in 2009, according to the study. Opioid addiction is a chronic medical condition caused in part by brain changes that can result from regularly using drugs such as oxycodone, codeine, hydrocodone and morphine. Opioid dependence is even considered a chronic brain disease by the American Society for Addiction Medicine and the National Institute on Drug Abuse and left untreated, can be fatal. The good news is that opioid dependence can be effectively treated - but part of the problem is recognizing the signs that someone you love is abusing the drugs in the first place. One potential sign a person may be addicted to opioids is that he or she looks tired, and that drowsiness causes the person to spend less time with old friends and skip out on activities. Tirado says during the peak effect of using opioids, a drug-taker might appear drowsy with drooping eyes or may look about to fall asleep. "While this may be mistaken for 'just being tired,' individuals may demonstrate this pattern at various times throughout the day," Tirado says. Opioids can diminish a patient's attention and concentration and interfere with learning, especially at work or school, says Dr. Tirado. The combined effect of the drug's impairment on thinking and the constant need to take the drug to avoid withdrawal makes it difficult for a person with addiction to remain concentrated and maintain a high level of academic or work performance. This often results in obvious signs like missing days of work, leaving school or work during the day, or a significant drop in performance. Due to the frequent level of intoxication, the drowsiness, tiredness and inability to concentrate often make it difficult for the addicted individual to maintain normal friendships and healthy lifestyle habits like sports, social clubs and hobbies. People addicted to painkillers swap friendships and healthy "pro-social" activities in favor of becoming more isolated and/or spending time with friends who are engaged in similar destructive behaviors. According to Tirado it can be difficult to tell when someone is high on opioids, but the most common physical signs include "pinpoint pupils" (pupils that stay constricted, even in dim room light); sudden itching of the arms, stomach or legs; drooping eyes; flushing of the face and neck; head nodding; intense calm; and slurred speech. When a person is experiencing painkiller withdrawal, they may show frequent yawning, runny nose, dilated pupils, sudden trips to the bathroom (nausea, vomiting, and diarrhea), joint pain (especially in the back and legs), "flu-like" feelings, and severe insomnia. Loved ones abusing prescription painkillers may speak differently with their friends and associates, even using code. "The need for secrecy and leading a double life is a basic requirement for the development of a chronic prescription opioid addiction," says Dr. Tirado. He says the vast majority of prescription opioids that are abused in the U.S. originate from legitimate prescriptions that are sold for cash or traded for other drugs on the black market. Since this type of activity is by definition illegal and high-risk, individuals must "fly under the radar" and maintain a level of secrecy by using slang terms and strictly guarding privacy. Tirado encourage parents' families to learn common slang terms such as "oxys" (oxycodone) or "hydros" (hydrocodone), and to watch for red flags such as an unwillingness to allow parental interaction with friends. Tirado said it's important to keep in mind that people who suffer from opioid dependence often face barriers that can make beginning treatment seem like a daunting task. Some of the most common barriers include a fear of suffering from cravings or withdrawal, the stigma associated with addiction, lack of knowledge about available treatments, and simply being too embarrassed to ask for help. Office-based treatment with FDA approved medications is an excellent option for patients addicted to opioids who can see a doctor regularly, says Dr. Tirado. According to the National Institute on Drug Abuse, such treatments include methadone, buprenorphine, and naltrexone - both in pill form or long-acting injection. In addition to in-office management, intensive outpatient (IOP) programs, individual chemical dependency counseling and residential programs are the most common forms of treatment available for people with an addiction. If you or someone you know is dependent on prescription painkillers, you are not alone. Visit The Partnership at Drugfree.org for resources on where to find help.